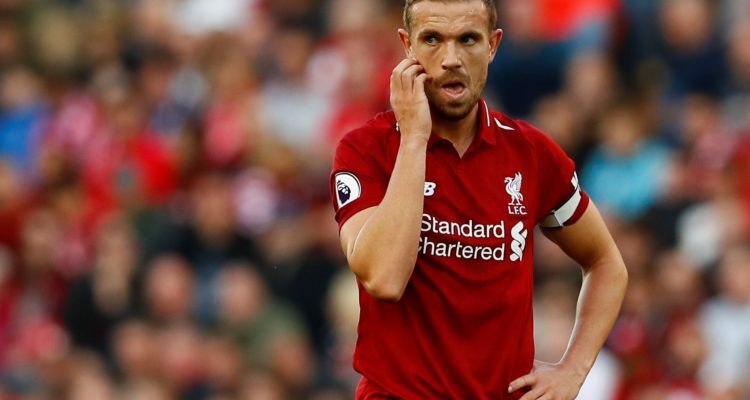 Is it time to take a more balanced approach to Jordan Henderson? Saturday’s impressive win over Watford displayed all the characteristics of maturity and control that are coming to define Liverpool. A clinical finish by Mo Salah, an expertly dispatched free kick from Trent Alexander-Arnold, a devastating counter led by Andy Robertson and finished by Roberto Firmino. Every aspect of the team came to the fore. The only blot on the Liverpool copybook was captain Jordan Henderson seeing red after an early yellow card and then persistent fouling in the later end of the match, resulting in a second yellow. The Sunderland born man looked off the pace at times. The glee over social media that some sections of our fanbase greeted the dismissal of the England international never ceases to amaze. It is fair to say that Henderson has long been a source of division among many fans; with some questioning his end-product and how much he fits into this dynamic side. There is a valid criticism to argue on this aspect of his game. But those same critics would be wise to take a more balanced approach when judging him, rather than the usual over the top reaction to the odd average game he has. It is a matter of fact that numerous managers of Liverpool both past and present, alongside several England coaches, have been admirers of the number 14. One would be searching long and hard to find anyone questioning his work ethic or how well he fits into a team. Henderson himself was always at pains to admit he was not a replacement for Steven Gerrard when he took over the mantle of club captain. However, he has taken on the role with the utmost professionalism and class and is a voice of valuable experience on the pitch – crucial for such a young team. Of course, all fans wish to have a team and squad of superstars, but it is the reality that every side, including those challenging for major honours, have figures within them that have different skill sets and qualities that Jordan possesses. We remove these kinds of figures from the club at our peril. Hindsight is a wonderful thing, but we can all only speculate how the 2013/14 title challenge may have ended if Henderson, who was a crucial member of that side, had not been suspended for the final games. One thing is for certain, Liverpool might well go on and beat Everton next week easily in his absence, but the team will still be looking to Henderson’s wisdom and guidance from the bench while doing so.